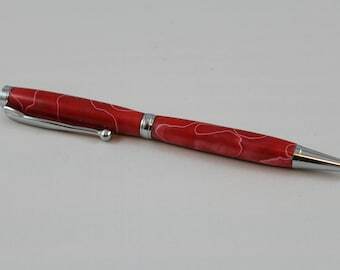 These slim body acrylic pens are great gifts that will last forever. When the ink runs out, the refill can be easily swapped out for a new one by pulling the pen apart at the middle. 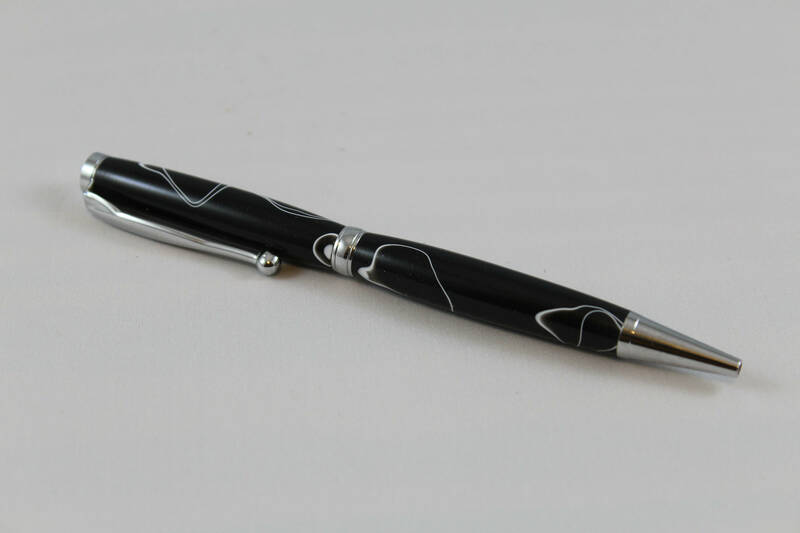 This pen set in the Black with White swirl acrylic body.